Performing & Teaching Artist, Storyteller, Spoken Word Artist, Historical Re-Enactor, Wellness Sessions, Educational Cultural Enrichment Programs for all ages. Creative cultural enrichment programs featuring Literature, History and Music. Workshops on poetry, storytelling, youth performance workshop on the poetic works of Paul Laurence Dunbar. LOL4REAL! a wellness session on the benefits of Laughter Yoga for youth, corporate and seniors. 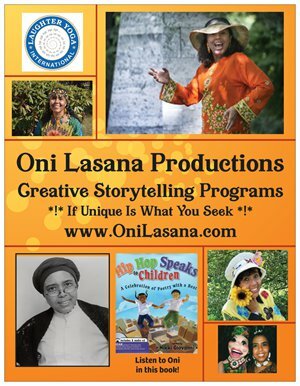 Oni Lasana Productions is on the roster of artists at Art-Reach of Philadelphia for over 20 years.